CDs and DVDs have become part of the electronic industry in spite of the fact that these are actually add-ons and accessories to the main product which are the CD & DVD players. With these becoming a part of the showroom in the present day, it becomes important to choose the prefect storage system that will house these discs while ensuring that it offers the maximum visibility for the walk-in customers. CD Racks and DVD Racks from Adequate Steel offers just that to its electronic retail customers. The display racks for CDs and DVDs can be a regular one side rack or it can be a gondola type one. The choice is with the retailer and the best suited pattern and model can be chosen depending on the floor space, number of CDs/DVDs that are to be displayed and the advertising model of the merchandiser. Though the racking system is similar to that of supermarket racks, the depth and the size is different as it needs to be fit to hold CDs & DVDs that are smaller in size in comparison to the products that will be on display for a supermarket or any other electronic racking system. 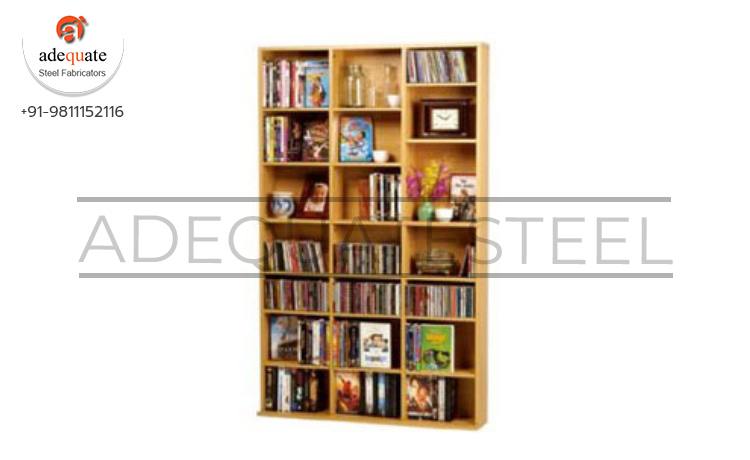 The CD racks from Adequate Steel offers an elegant display system for CDs and DVDs in the present day. It is made of high grade raw materials and is powder coated to ensure that it is highly durable and anti corrosive. The gondola type of CD racks can be used to enhance your profits from the booming CD & DVD market which will be an add-on to an electronic store. The shelves help to display the merchandise in style. The racks come with a solid base that helps to hold the entire rack along with the weight of the CDs. It is designed with down slope shelves and the entire rack is easily portable. It has a perforated backboard and side columns where the shelves are arranged and these can be moved to suit the size and requirement of the retail client.